Business Live reports that Water and Sanitation Minister Gugile Nkwinti said on Friday that an implementation protocol to restore infrastructure at the polluted Vaal River system had been signed with a wastewater specialist company. Nkwinti made this announcement during a visit to Sebokeng in the Vaal to get an update on the Vaal River Rehabilitation Project. The project began in 2018 after raw sewage flowed into the river from pump stations in the Emfuleni Municipality on the northern bank of the river, posing environmental and health risks. Nkwinti said on Friday that the implementation protocol was signed on March 29 by his department, the department of cooperative governance and traditional affairs in Gauteng, the Emfuleni local municipality, municipal infrastructure support agent and the East Rand Water Care Company (ERWAT). He said R341m had been allocated for the project, and 250 youth would be trained in plumbing, carpentry, bricklaying, paving and agriculture. SABC News reports that Gwede Mantashe visited in Emalahleni community and four mines operating nearby, after the residents raised concerns last weekend. Residents of Phola in Emalahleni, Mpumalanga are accusing the local mines of causing cracks into their houses when blasting. Mantashe visited the community and four mines operating nearby, after the residents raised concerns last weekend. 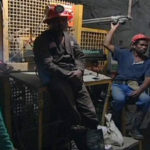 To many of the residents of Phola, the mines operating nearby are a hope for job opportunities. However, to some home owners the mines are a thorn in the flesh. Some homeowners complain of cracks developing in their houses. They blame the mines for the cracks. They also claim to be acquiring sicknesses as a result of air pollution emitted by the mines. According to Mantashe, a technical assessment team will be sent to establish whether the cracks are caused by the mines or are a result of poor workmanship. He said the report of the assessment team will give a clear direction on action to be taken. 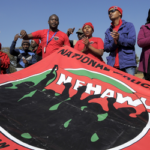 The Citizen reports that the National Education, Health and Allied Workers’ Union (NEHAWU) said on Tuesday that it was still consulting its members about the latest wage offer tabled by the South African Revenue Services (SARS). 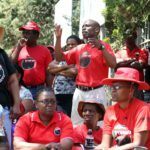 Khaya Xaba, Nehawu national spokesperson, said in a telephonic interview that the union’s officials were having a meeting with members to inform them of the Sars wage offer and to obtain a mandate from them. “We are meeting our members today to get a mandate whether to accept or decline the Sars offer… As we speak, our members are not back at work at Sars,” Xaba said. This comes after the Public Servants Association (PSA), the majority union at Sars, on Monday reached an 8% wage agreement following lengthy and after-hour negotiations, picketing, and demonstrations by employees. Last week, at least 9,000 workers at Sars embarked on a legal strike, demanding 11.4% salary increases while Sars was only prepared to pay 7%. 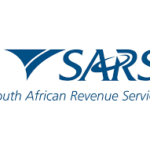 The strike crippled Sars services as the revenue collector had to close down 33 of its 53 branches across the country. ANA reports that the Cape Town council has approved R13.78 million to upskill participants in its Expanded Public Works Programme, with 170 set to receive South African Qualifications Authority-accredited training and skills development in the first project. 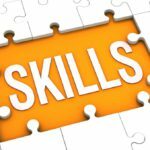 The council said the training had been tailor-made for school leavers or unemployed individuals, with the minimum requirement being a Grade 11 or a Grade 12 certificate or the individual having been unemployed for more than two years. Mayoral committee member for urban management Grant Twigg said: “This training intervention is a huge opportunity for individuals to upskill themselves to enable them to tackle opportunities in the digital space. The bulk of the money will be used to specifically address the critical technology skills shortage associated with the fourth industrial revolution. 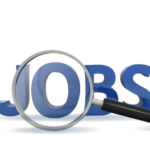 This will see 345 unemployed youth aged between 18 and 34 being trained over a 12-month period, with 80% getting placements in learnerships or internships. 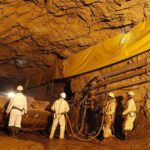 The Star reports that troubled mining company Central Rand Gold (CRG) has left more than 100 workers in limbo after it shut its doors without giving them notice. Employees said they were sinking deeper into debt due to the non-payment of their salaries in February and march. The workers said that since 2017, there had been months when they only got half their salaries, sometimes past payday, without explanation. Things became worse last year, the employees said. The National Education, Health and Allied Workers’ Union [NEHAWU] condemns with the contempt it deserve the misleading reporting by the Mail and Guardian on the ongoing national strike at the South African Revenue Services [SARS]. The article which appeared yesterday on the website of the Mail and Guardian titled“SARS crippled by Moyane loyalists” suggest that the strike is part of a ploy by unions to fight the battles of the former SARS commissioner Tom Moyane. The article insinuates that Moyane’s allies who still in SARS are using the strike to cripple the institution. NEHAWU is gobsmacked that such a huge publication can throw around such unfounded and ridiculous accusation especially without affording the national union an opportunity to have a say on the matter before putting the article online. As NEHAWU, we strongly believe that we could have clarified the journalist on the reasons why we elected to go on strike than to speculate that we are on a silly conquest to defend individuals. NEHAWU understands the mandate of SARS and the role workers must play in ensuring that it is executed with aplomb and earlier this week we highlighted how the management has been on the forefront of making it impossible for our members and workers to contribute to fulfilling that mandate by creating horrible working conditions and withdrawing our members benefits. To suggest that NEHAWU can be reduced to a personal army is an insult to us and we take serious exceptions to that. We have grown from strength to strength in the last 31 years because of our transformational agenda and exceptional service to members. Balance and fair reporting is a necessity and necessary for the public to be informed properly of current events. We appeal to the Mail and Guardian to desist from one sided and sensational reporting. Failure to do so will leave us with no option but to report the Mail and Guardian to the Press Ombudsman. In this regard, the union will formally write to the Mail and Guardian to demand a formal apology on deliberate distorting on the intention of the strike underway at SARS led by the national union. SABC News reports that taxi organisation, SANTACO says a taxi fare increase may be on the cards in light of the steep fuel hike that will take effect on Wednesday. This is in response to an announcement by the Energy Department that the petrol price will rise by R1.34, diesel by R0. 82 and illuminating paraffin by R0.63 a litre. The Department cited a number of factors as causes for the hike, including a weak Rand against the dollar and higher oil crude prices in the international market. SowetanLive reports that according to the SA Revenue Service (SARS), a wage settlement with its representative unions, the National Education, Health and Allied Workers Union and the Public Servants Association (PSA). “Pursuant to the industrial action currently under way, the parties continued the engagements from Friday evening, March 29, as well as from the afternoon of Sunday March 31 into the late evening,” said Sars spokesperson Sandile Memela in a statement on Monday. “The parties have made substantial progress in narrowing their areas of dispute and there is a possibility of reaching an agreement and settling the dispute. In this regard, organised labour will take the proposals to their members on Monday morning and will revert to the employer by 9am on Monday April 1.” The draft wage agreement includes: an 8% salary increase from Monday; a projected CPI plus 2% salary increase on April 1 2020 and 2021 respectively; eight days of prenatal and vaccination leave; and five days of family responsibility leave every two years. 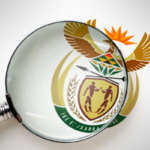 The National Council of Provinces considered and passed a total of 11 Bills. One of the crucial Bills passed was the Performers’ Protection Amendment Bill, which seeks, among others, to strengthen protection of the intellectual property of performers and to ensure that performers reap the benefits of their artistic work. For example, the Bill provides for royalties or equitable remuneration to be payable when a performance is sold or rented out. Six international agreements were approved at yesterday’s sitting, tabled in terms of section 231(2) of the Constitution. This section says that certain international agreements bind the Republic only after they have been approved by resolution in both the National Assembly and the National Council of Provinces. The agreements approved are the World Intellectual Property Organisation Copyright Treaty; the World Intellectual Property Organisation Performances and Phonograms Treaty; the Beijing Treaty on Audiovisual Performances, 2012; the Optional Protocol to the Convention against Torture and Other Cruel, Inhuman and Degrading Treatment or Punishment; the Southern African Development Community Protocol on Environmental Management for Sustainable Development; and the Kigali Amendment to the Montreal Protocol on Substances that Deplete the Ozone Layer to include Hydrofluorocarbons. South African Transport and Allied Workers’ Union (SATAWU) members at Putco are picketing outside the Labour Court in Johannesburg today. SATAWU’s lawyers are going up against bus company Putco for not paying workers’ annual wage increase and bonuses in line with the agreement signed last May after workers downed tools for 28 days. The matter wass set-down for 10am today. Labour unions SATAWU, NUMSA, TAWUSA, TOWU and TASWU signed a 9% for Year 1 and 8% for Year 2 wage increase agreement with employer associations SABEA and COBEA at the South African Road Passengers Bargaining Council (SARPBAC), to end the near month-long strike that saw the industry ground to a halt. To date Putco has not paid its workers the annual increase or end of year bonuses despite having signed the agreement. Despite this, last June the company applied to SARPBAC to be exempt from complying with the wage settlement. SARPBAC’s Exemption Authority turned down Putco’s application for a zero percent increase. The bus company appealed the decision. In response, the authority ruled that the employer pay workers a 6% increase for the period 1 April 2018 to 31 March 2019. In addition, Putco was ordered to pay an extra 3% on 1 April 2019 prior to paying the 8% increase for Year 2 as per the agreement. The company was also ordered to pay annual bonuses in December 2018. Until now the company has not complied, opting to refer the matter to the Labour Court. SATAWU rejects Putco’s assertion that it cannot afford to comply with the wage settlement because it is financially stressed. 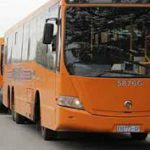 The bus company retrenched 220 employees and abolished 380 positions last year arguing the move would improve its finances. It also increased fares by between 8% and 14% across the various regions it services. 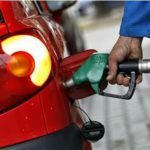 Government also raised its subsidy to the company by 3.24% in 2018. SATAWU’s legal representatives will argue that Putco can in fact afford to pay the wage hike and bonuses, and will appeal to court to compel it to do right by its workers who have had the value of their earnings eroded by this year-long delay.